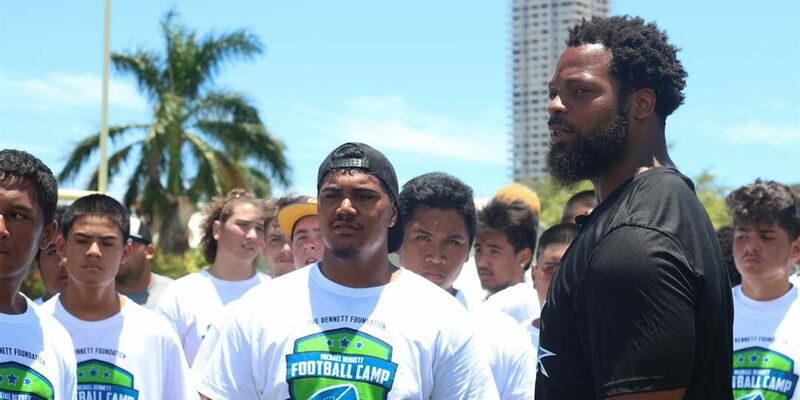 HONOLULU (HawaiiNewsNow) - More than 800 people were at the University of Hawaii Sunday morning to attend an annual camp run by Seahawks defensive lineman Michael Bennett. For the Seattle standout, the camp is about more than just football. Bennett hosts his foundation's O.C.E.A.N. sports camp every year to continue the fight against childhood obesity through community outreach, education and nutrition — completely free of charge. "A lot of times people just want to talk to you about football," said Bennett. "To be able to talk to kids about life, school, community and health is something I really want to empower young athletes to use their platform for." In addition to Bennett, the camp brought out fellow NFL players. Ironically, most of them were from the Hawks' division rival, the 49ers. However the group had no problem putting their divisional rivalry aside to coach up Hawaii's high school footballers. "I think when you're a young kid you want to be able to touch your heroes," said Bennett. "I think when you're in the position that we're in, you have to be able to be in contact with the youth and be able to inspire them every single day." Waianae native and 49ers defensive lineman DeForest Buckner was one of those athletes looking to inspire. The Punahou alum was on hand to give tips to the d-linemen in attendance. But, Bennett believes Buckner simply being there made the biggest impact by giving local athletes a role model to look up to. "Local stars are very important," said Bennett. "To have these guys interact in different opportunities and different collaborations that we do - it just keeps the youth coming out for more." In addition to the campers learning a few lessons, Bennett said he hopes the pros helping out see the importance of giving back to a community, and pay it forward. 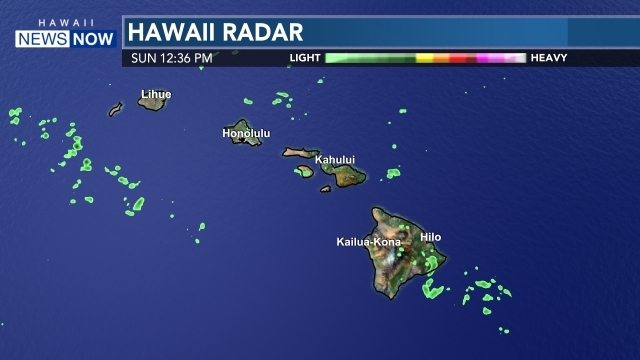 Buckner told Hawaii News Now he's planning to do exactly that. He told HNN he'll be holding a camp of his own later this month.